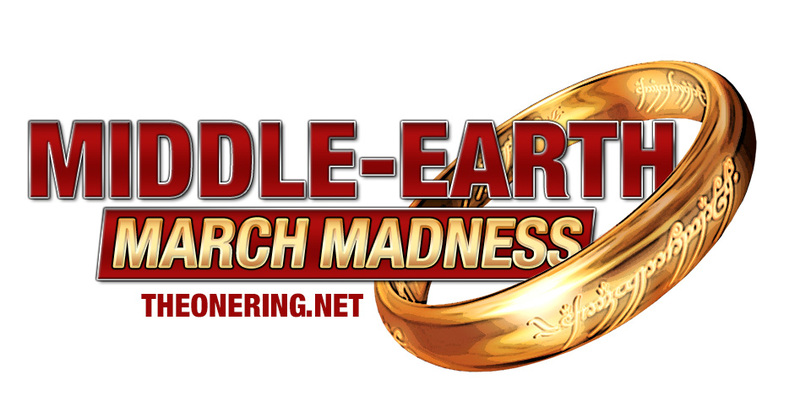 Middle-earth March Madness Round 1 results are in. Vote now for Round 2! In the Movies Only group, Sebastian the Hedgehog was clearly sufficiently recovered from his brush with dark magic, to see off the Goblin Scribe. Alfrid Lickspittle may have been a sneaky survivor (up to a point) in the films, but he’s already out of this contest, resoundingly conquered by the ever lovely Figwit. Books Only – we’re glad to see that happy couple Goldberry and Tom Bombadil are both through to Round 2, having seen off Fatty Lumpkin and Celebrian, respectively. Some of the most epic battles thus far have surely been in the Movies and Books category, where after a mighty struggle, the Balrog was able to see off Beorn (did he have wings to help him?). 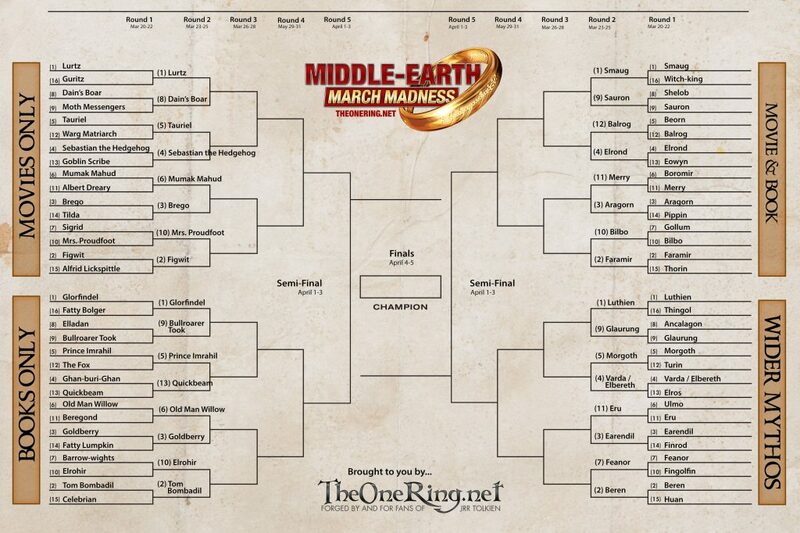 It will come as no surprise that Sauron and Smaug have both made it through; but who would have expected Merry to manage a narrow defeat over Boromir? His pal Pippin will not be joining him in Round 2, having been vanquished by Aragorn; and I’m afraid hot dwarf Thorin is already down and out, with Faramir showing his quality in a fairly convincing win. Wider Mythos sees Luthien and Beren both progressing; they are joined in the second round by Earendil, who ‘sailed’ through in an easy victory over Finrod. And in the most fiery of battles, Glaurung overcame Ancalagon; could he go on to face Smaug in the Semi-final? And so on to Round 2! 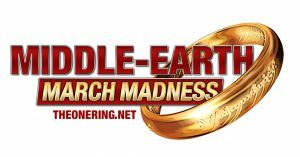 Voting is open until March 25th 10pm EST; show your support for your favourites, and make sure they survive to Round 3! What lies in store – could there be an all tree battle in Round 4, with Quickbeam facing Old Man Willow? Might we see a final showdown between Goldberry and Luthien? Could Sebastian the Hedgehog go all the way to be crowned champion? YOU decide – vote now!